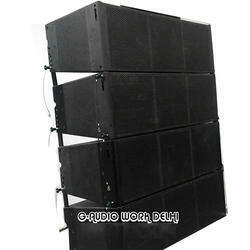 - Transducers: Low Frequency: 2x18"
Electro Voice: Extend your low-end with this portable powerhouse. Whether used on its own or with a sub, the ZLX-15P provides crisp, clean highs and tight, deep lows for larger spaces – all with enough amplifier headroom to make sure you’re heard both loudly and clearly. 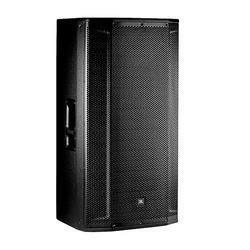 Studiomaster OP 415: Active Spkr, Power O/p 275/550, Freq Res: 50-20000, Impedence 8, XLR Output Connector, Dim: 440x320x700, Net weight 20 kgs.